It's caught up with the main distros in that it now features all the packages available in the repositories, that’s about 30,000 packages to choose from, compared to around 300 in the previous version, but that's not why we like it. 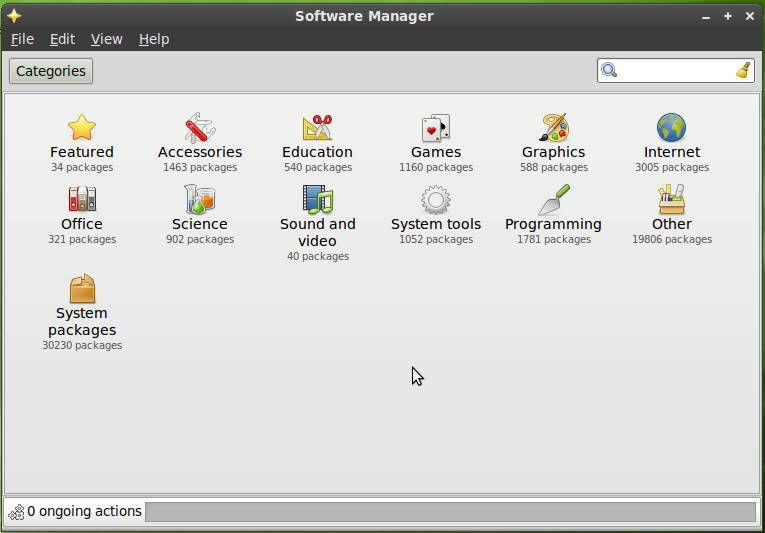 The on-screen glitz takes the form of an updated graphical interface inspired by the Ubuntu Software Center; using the Webkit engine to render screens in HTML/CSS, you can browse packages by categories using single-click navigation. Selecting a package gives you a page of further info, screenshots and links to project websites, all within the Software Manager Window. 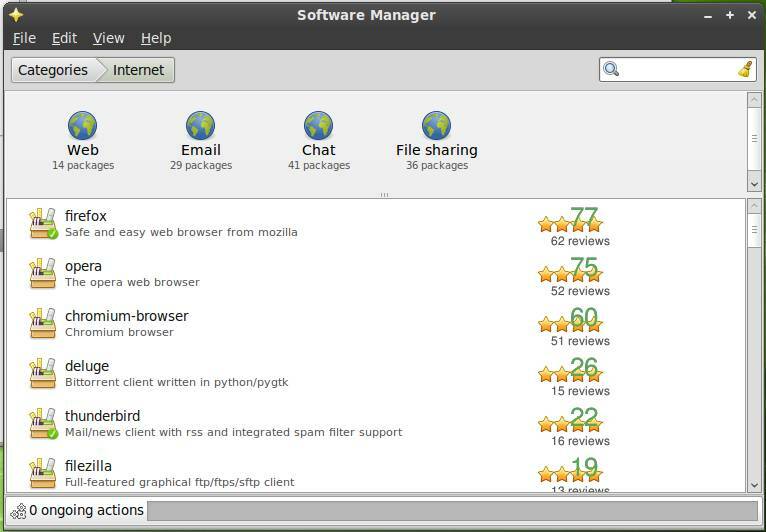 User Reviews: it updates itself with all the software reviews contributed by other Mint users then sorts packages by the aggregated scores, so that you always see the most popular applications at the top of the list. Its a form of community voting that ought to catch on elsewhere. 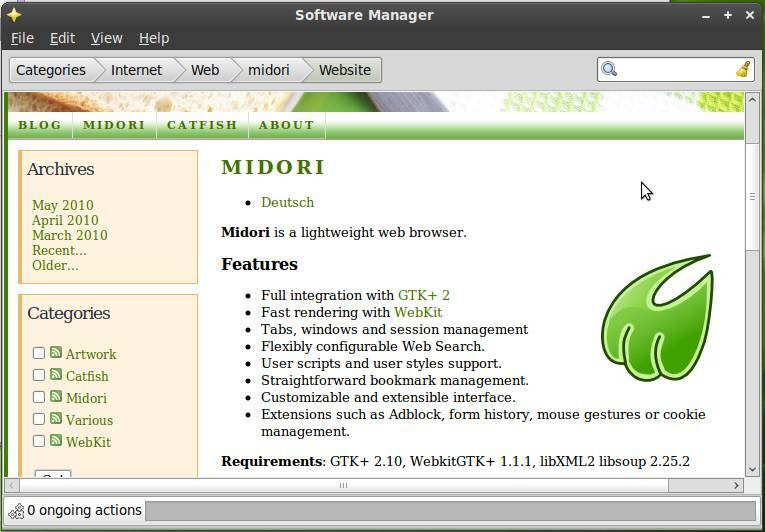 Any user can review applications, either from the Linux Mint Community Website or directly within the Software Manager. Your review immediately appears on the website and other users can see it in their Software Manager an hour later. Asynchronous installation/removal: courtesy of the Apt daemon, you don't have to wait for an installation to finish, you can browse through the Software Manager for other applications, or close it the manager while installation continues in the background. Re-open Software Manager, it tracks and reports progress on any ongoing installation running in the background. You can cancel an installation at any time. The software catalog is divided into categories such as development, internet, office and so on. While you can drill down, some of these categories are very large and the resources to browse through them can bring your machine to a standstill, as it tries to load the entire catalog into system memory. It could really benefit from some sort of caching. If you do browse, there doesn't appear to be a sort option within the category list, either by rating or alphabetic or added-date. The search box in the top-right corner works very fast as long as you know at least part of the name of the program you're looking for. Otherwise you can get massive, unsorted list of applications. Good hunting.